(SKNIS): The September 16 ceremony commemorating the five National Heroes of St. Kitts and Nevis is expected to be even more special as it marks the first time the event will be held in the National Heroes Park with the new monuments of the nation’s most prominent contributors. Permanent Secretary in the Office of the Prime Minister, Osbert DeSuza, said that work at the facility has progressed and structures including the fence, entry booth and monument base are already completed or close to completion. 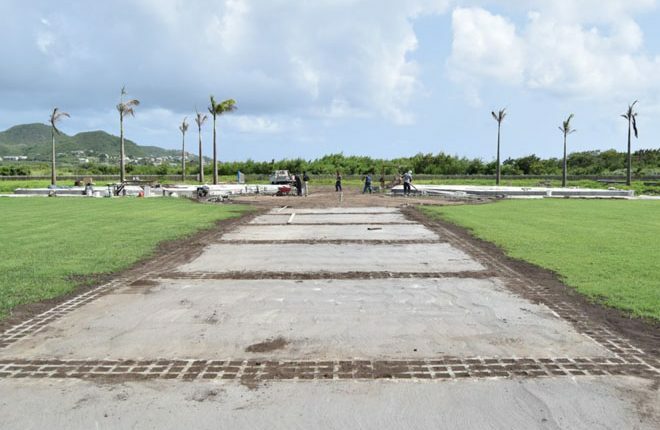 Grassing of the parade square is ongoing and the area was inspected by members of the St. Kitts-Nevis Defence Force (SKNDF) to ensure that it is in keeping with standards necessary for military parades. 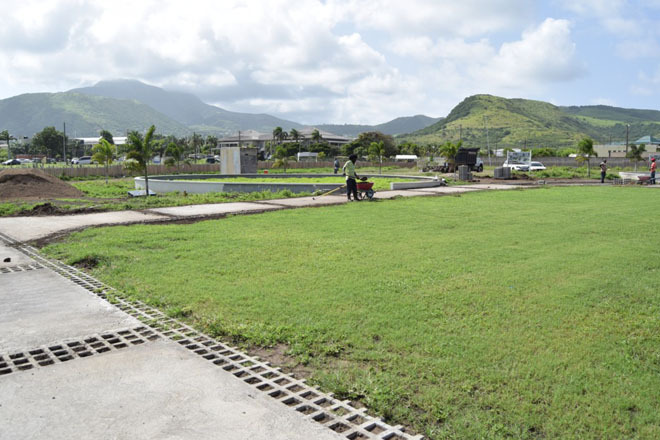 Captain Kayode Sutton reported that the visit was lead by the Commander of the SKNDF, Lieutenant Colonel Patrick Wallace, and the ground was certified for use for the National Heroes Day ceremony on Saturday, September 16. Trees, including Caribbean Royal Palms, flamboyant and others, have been planted. A number of raised platforms will allow for members of the public to sit while visiting the park. 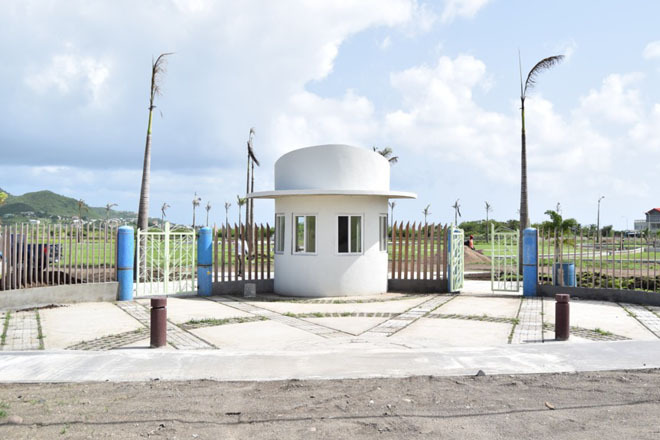 Mr. DeSuza encouraged persons to observe the transformation of the facility located along the Kim Collins Highway, northeast of the R. L. Bradshaw International Airport. However, the site is still under construction and regular restrictions apply. The grand design of the four acre National Heroes Park also includes a welcome center, kiosks, an amphitheater, and a pavilion. Some of these will take longer than the current time frame to complete and will be added as time goes by. The five national heroes are Dr. the Right Honourable and the Right Excellent Sir Kennedy A. Simmonds, and the Late Right Excellencies, Sir Robert L. Bradshaw, Sir Caleb Azariah Paul Southwell, Sir Joseph N. France, and Sir Simeon Daniel.